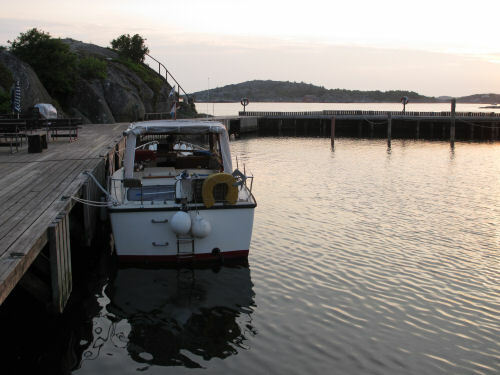 The picture of Bibbi II was taken at Brustholmarna June 8th 2011. Here we spent the first night on the trip. Most summers since 1975 my parents, I, my wife and our two children have spent on this boat. We have made some longer trips to Germany, Denmark, Norway and around Sweden. In 1998 we made a three month trip on the canals of Poland, Germany and The Netherlands to celebrate my 50th birthday and in 2004 a trip all around the southern parts of Sweden to Stockholm, then to the Åland archipelago and back home again via Göta Canal. But of course, most summers, we have spent on the beautiful Swedish west coast.